Okay, this is where the fun starts! Let's start off by saying that Discharge has its quirks BUT also has remarkable advantages, so please bear with us while you read this page! --Discharge is the softest of all t-shirt inks, no plastic feel! --Limited 50/50's will "discharge", primarly heathered colors. 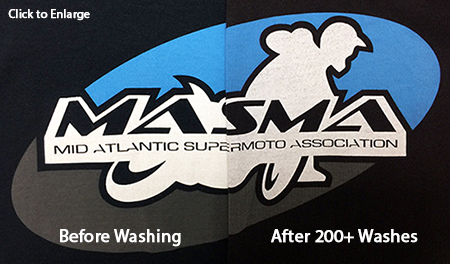 --Discharged t-shirts must be washed once to obtain softness, more washing = more softness! 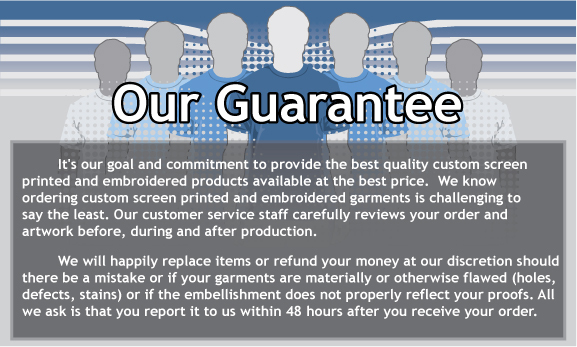 --Upcharges are per garment, not per print! 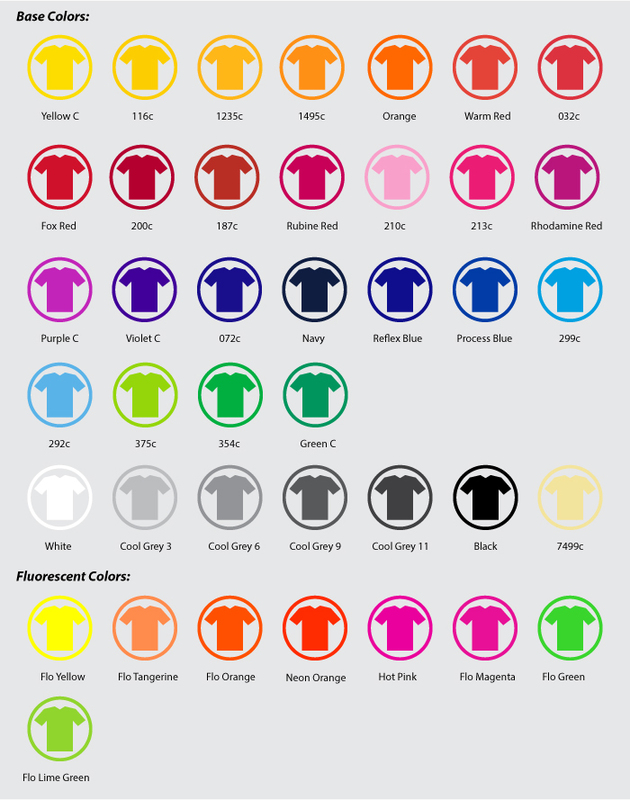 PMS matching of color is not guaranteed, results vary based on shirt brand and cotton, expect some variation in the color of ink.